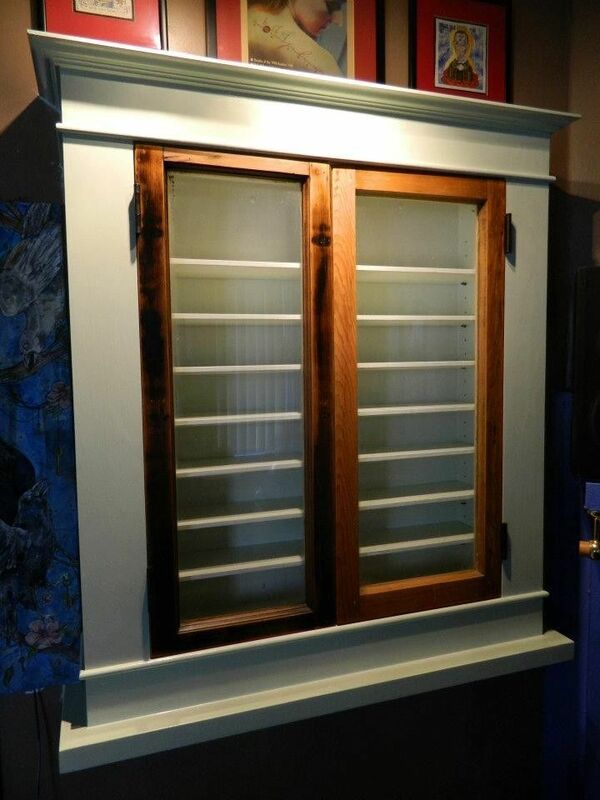 The doors on this cabinet were made from reclaimed window transoms. 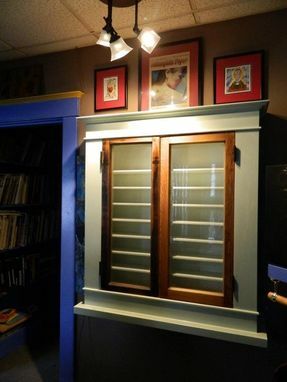 The transoms were turned on their side and hung as doors, and the cabinet was built around their size. 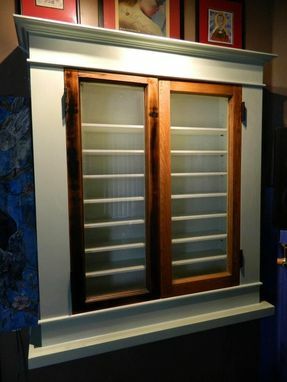 The cabinet was built and trimmed to look like historic window casing. The shelves are all adjustable.